A straighter smile doesn’t just improve dental aesthetics. From lowering the risk of TMJ problems to improving oral hygiene, correcting the alignment of your smile with orthodontics offers a number of dental advantages. However, many adults may find themselves hesitant to treat their smiles with bulky metal braces. At Bayshore Gardens Family & Cosmetic Dentistry, Bradenton dental patients are enjoying straighter teeth and a healthier bite thanks to Invisalign® Provider, Dr. Shepherd Frenchman. Invisalign is an innovative alternative to traditional metal braces, using custom-crafted, form-fitting dental trays. They offer a completely clear-colored and removable solution to a more beautiful smile and a more confident you. At our dental practice we are proud to have Dr. Frenchman, who has been recognized as the premier Invisalign provider in Bradenton and continues to correct smiles for patients who choose this alternative clear aligner procedure. Supported by years of data and research, Invisalign® has paved the way for adult-friendly orthodontics options. 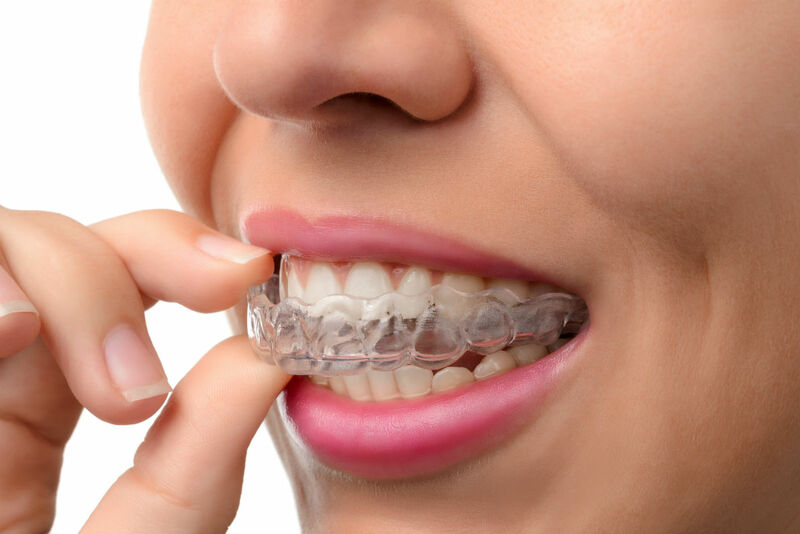 Unlike traditional braces which require extensive metal, Invisalign® uses clear, custom fit aligners to correct a range of malocclusion problems. As the original clear braces option, years of research has led to continuous treatment improvement. Invisalign® is not a one-size-fits-all treatment. The advanced treatment plan software, as well as diverse treatment techniques, ensure that each patient receives a strategy created specifically for their unique orthodontic needs. With the advanced animation software used by Invisalign®, patients can see what their smile will eventually look like following treatment, ultimately allowing them to make the best decision for their dentition. Compared to more traditional orthodontic options, Invisalign® is exceptionally patient oriented. As the trays are removable, patients are able to swap out their trays from the comfort of their home, eliminating frequent visits to the dentist. While Invisalign® does require a great deal more patient compliance, most individuals using this treatment to correct their bite find this treatment to be well worth the investment and are able to easily follow their treatment plan. To create the right treatment plan for your smile, photos and impressions are taken of your dentition. Using the specialized software, Dr. Frenchman is able to provide patients with an idea of how long their treatment is expected to last, how many aligners will be needed, and what they can expect their smile to look like. Once the treatment strategy has been created, your impressions are sent to an Invisalign® lab, where your aligning trays will be created using 3D printing. Over the course of treatment, patients work through their trays in accordance with their unique treatment plan. During the monthly visits to our practice, Dr. Frenchman will evaluate your dentition and determine whether adjustments need to be made. Once treatment is complete, we provide patients with a retainer to be worn at night to protect the new alignment. For adults and teens alike, Invisalign® is a great way to improve your smile without compromising your looks. To learn more about this treatment, contact our Bradenton dentist today!